Welcome to another Plan With Me. Incase you missed last weeks edition, click HERE to check it out. I really wanted to get back into using the $1 sticker books that I’ve accumulated from Michaels. They are from the brand Darice and Creatology and as mentioned in my storage video, they are a hot commodity in the planner community. I have about 20 and now that the holidays are rolling around, I can’t wait to pick up some more and create more layouts. 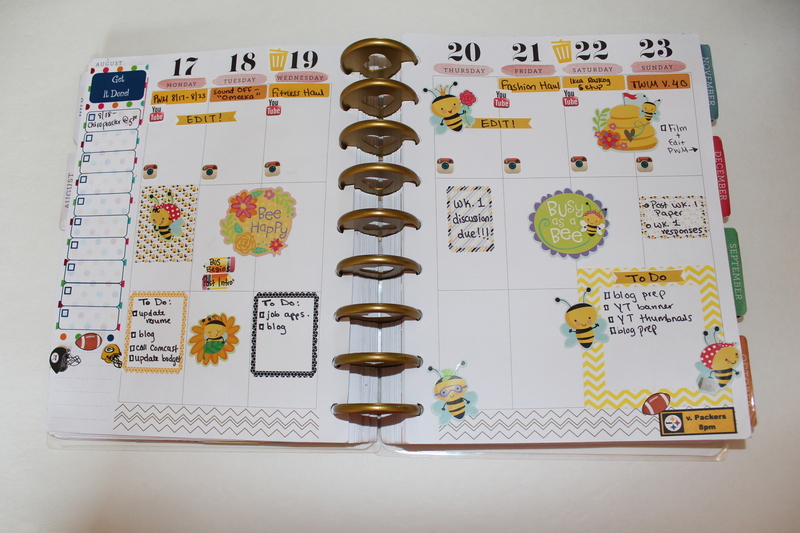 I decided to go with a bumble bee theme this week. I have so many sticker books to create different layouts with that I’m really excited to share. Be sure to click the links under my layout for items used including the link to purchase the planner I use. Also check out the Plan With Me in its entirety along with my planner playlist. Enjoy!